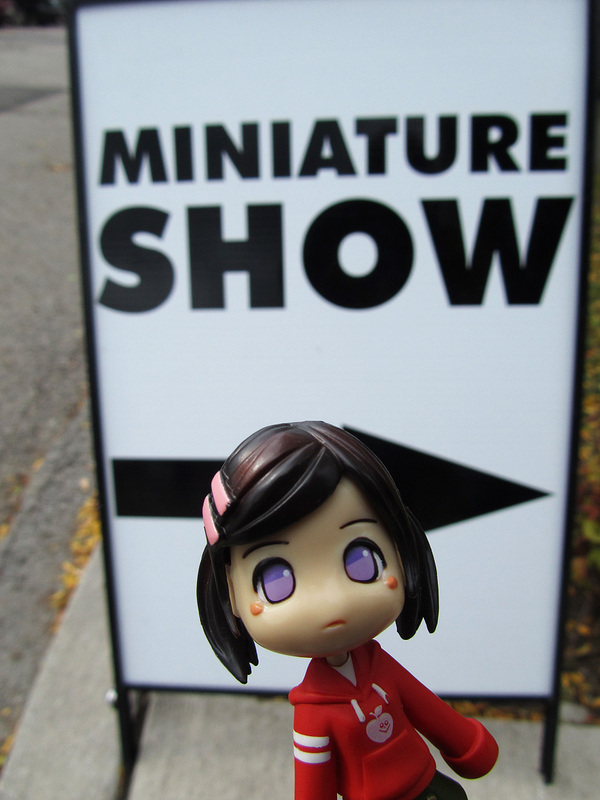 I've been to a couple of local doll and toy shows in the past but this is a first miniature show for both Little Nunu and I. Truthfully, going in there was a little awkward as the majority of enthusiasts in attendance were of the more mature variety, who've been miniature experts for many years. I was slightly hesitant to take photos but I managed to snap some. 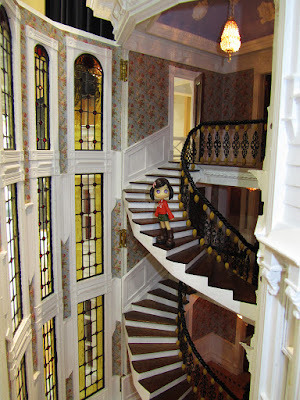 Right away, Little Nunu had her eye at the mansion by The Little Dollhouse Company. 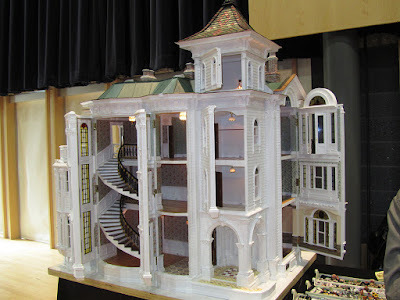 She was wondering why her Newport dollhouse at home is not this grand, when it was bought from the same place. 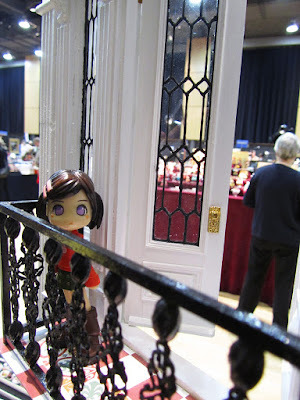 ...A very good visual overload that she didn't want to leave and went as far as hiding by the door near the balcony. 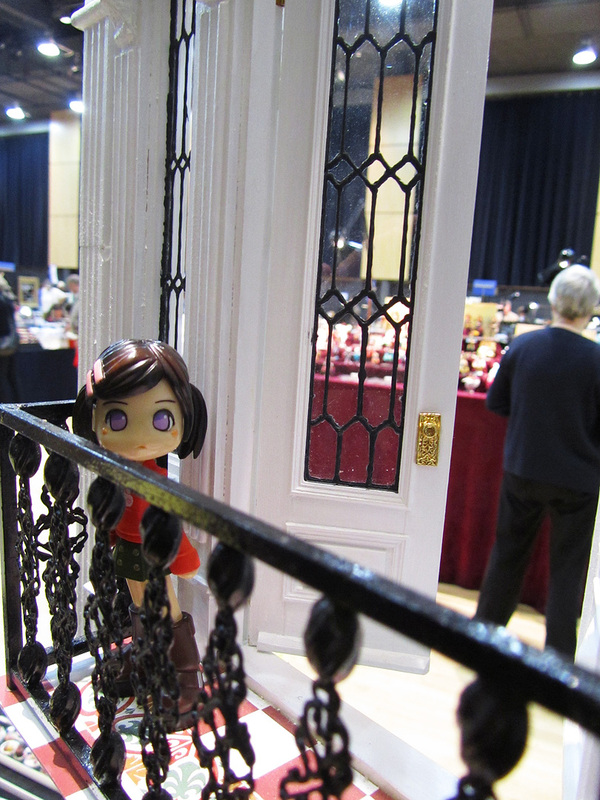 Fortunately, she was caught in the act before she could hide. As we moved on to other dealers' tables, Little Nunu spotted some really cool handmade paintings that made her think of her bigger sized doll sisters. So what exactly did this adventurous doll take home from this trip, you ask??? 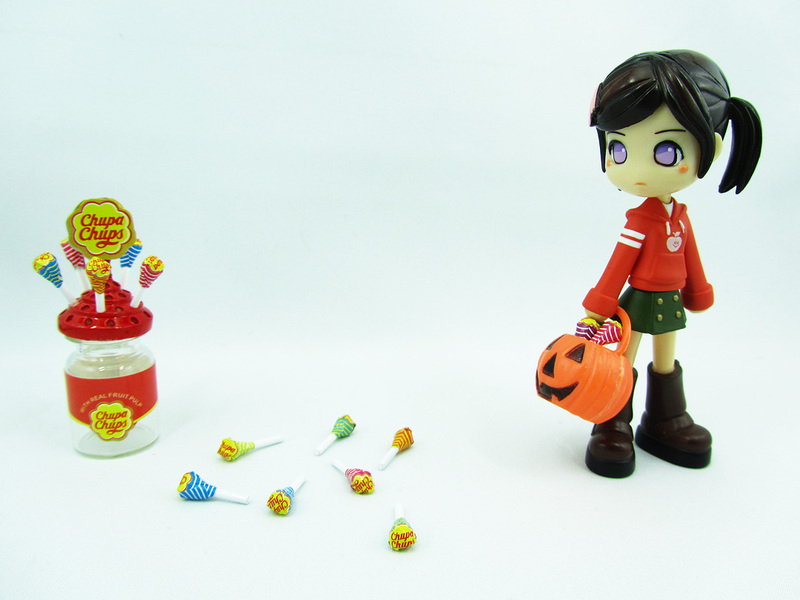 We all know she's got a sweet tooth! Luckily 'tis the season for Halloween treats! Little Nunu simply wouldn't leave without a couple of treats for herself, Jennifer. And she's too cute to say 'no' to! That little Nunu...always getting her treat. 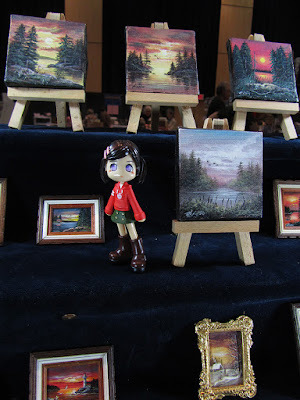 If she wasn't so cute...I love miniatures! I belong to the club that put on the show. 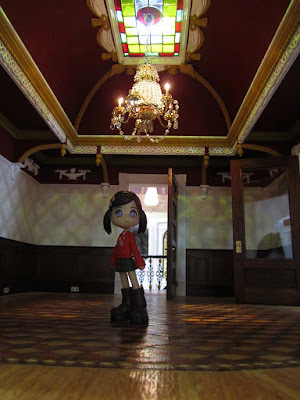 I hope you enjoyed the show and decide to come in the future.